Pilgrimage is a spiritual journey usually made by groups, but frequently experienced also by individuals at a personal level of their spirituality. The Holy Land has always been a prime place of pilgrimage for Jews, Christians and Muslims—the three Abrahamic faiths. Over the centuries the Church has encouraged pilgrimage to these holy places where Jesus and his disciples lived, ministered and prayed. St Jerome, as early as the 5th century, talked of the Holy Land as the Fifth Gospel. He meant by this that we could only understand the four Gospels by coming to know the land, to be there, to feel the stones under our feet, and to experience the actual places we read about in the Gospels. In our own time the Second Vatican Council has given fresh emphasis to our roots in Judaism, stressing the need to recognise and acknowledge the importance of 1st Century Judaism and Temple worship at the time of Jesus, in order for us to understand the roots of our faith and the background to our major Christian feasts, our liturgy and prayer [cf. 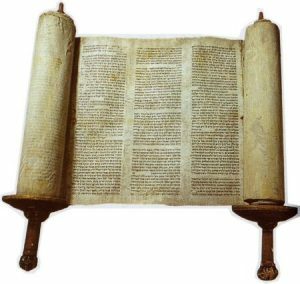 Guidelines and notes to Nostra Aetate, and its section on the Church’s relationship with Judaism]. As Sisters of Sion in Jerusalem, we continue in this tradition of encouraging people to come to the land to study the biblical texts in their context, both the Hebrew Scriptures (the Old Testament)—the only scriptures that Jesus knew—and the New Testament. We offer a variety of courses aimed at deepening our understanding of Jesus as a Jew in his own cultural and religious setting, drawing on the fruits of archaeological findings and scholarly biblical research. Our Courses are offered in English, French and Spanish, with experienced biblical teachers and guides. Each is a month long and has its own specific focus. English: ‘Sojourn in the Land of the Bible’ gives the opportunity to study one the Gospels in greater depth. This study is enhanced with excursions to traditionally meaningful sites and places of archaeological importance. French: This programme offers the chance to study biblical texts relevant to the different major festivals of Judaism and Christianity. Excursions are also a major feature, as well as preparation for, and participation in, synagogue services. Spanish: The Spanish Programme is open to participants, who are Spanish or Portuguese speaking, particularly those involved in pastoral, teaching or preaching ministry. This program focuses, like the others on the Jewish background to the New Testament with excursions to the major relevant sites and Holy Places. All of these programmes enable the participants to become more immersed in the different cultures around them, visiting or spending time in such places as Galilee, Jericho, the desert areas, and especially in the old city of Jerusalem, where they can see and meet the people, smell, taste and experience the many different expressions of Jewish, Muslim and Christian traditions. The church today, through its various documents and synods, is calling us to a deeper biblical spirituality that is well founded and based on robust teaching, with sound research of texts and traditions. This is what we seek to offer and we hope you will be drawn to one of our programmes, and spend time with us here at our Pilgrim Guest House and Biblical Study Center ‘The Ecce Homo Convent Jerusalem’.